Credit card issuers may use one of several methods to calculate your monthly finance charge. One of them may be the daily balance method. The daily balance method of calculating your finance charge uses the actual balance on each day of your billing cycle instead of an average of your balance throughout the billing cycle. Finance charges are calculated by summing each day’s balance multiplied by the daily rate, which is 1/365th of your APR. Stated another way, the daily rate is your APR divided by 365. Here's an example of how a finance charge would be calculated using the daily balance method. For simplicity, this example assumes you have the same balance every day of the billing cycle. With the daily balance method, the timing of your payments and charges makes a difference in the amount of your finance charge. Consider same APR, daily date, and days in the billing cycle as above. If you make a $100 payment on the 5th day of the billing cycle, your finance charge would be $10.55. But, if you made a $100 payment on the 25th day of the billing cycle, your finance charge would be $11.32. Making your payment early in the billing cycle means you have a lower balance for more days in the billing cycle. It results in a lower finance charge in that situation. You see, making payments early in the billing cycle and charges later in the billing cycle results in a lower finance charge when your credit card uses the daily balance method to calculate finance charges. Making charges early in the billing cycle and the payment later in the billing cycle results in the highest finance charge. 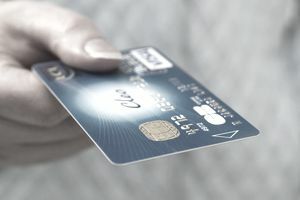 Tracking the timing of your payments and charges would be important if you want to reduce the amount of interest you pay on your credit card account (then again, you can eliminate finance charges by paying your balance in full each month). If you want to keep up with the days in your billing cycle, you need to know when your billing cycle starts and the number of days in the billing cycle. You can find this information on your credit card statement. Remember that the day in your billing cycle may not correspond to the day of the calendar month. That's because billing cycles don't necessarily start on the first day of the month and because billing cycles are typically shorter than one month.